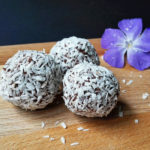 Here’s another recipe for coconut lovers that’s completely dairy-free, gluten-free, raw and vegan. These raffaellos taste delicious and very decadent. 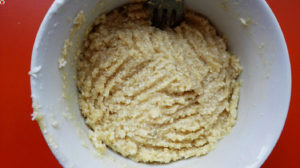 If you have some almond butter on hand, they’d be even better, but I didn’t have any, so in my case tahini did the job. You can use any nut butter you have. Also, I’m mixing some coconut oil and coconut cream (the fat from chilled full-fat coconut milk), but if you like, you can just use 3 tablespoons of coconut oil instead. 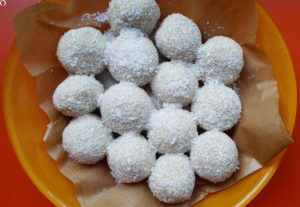 These truffles are perfect for Christmas. 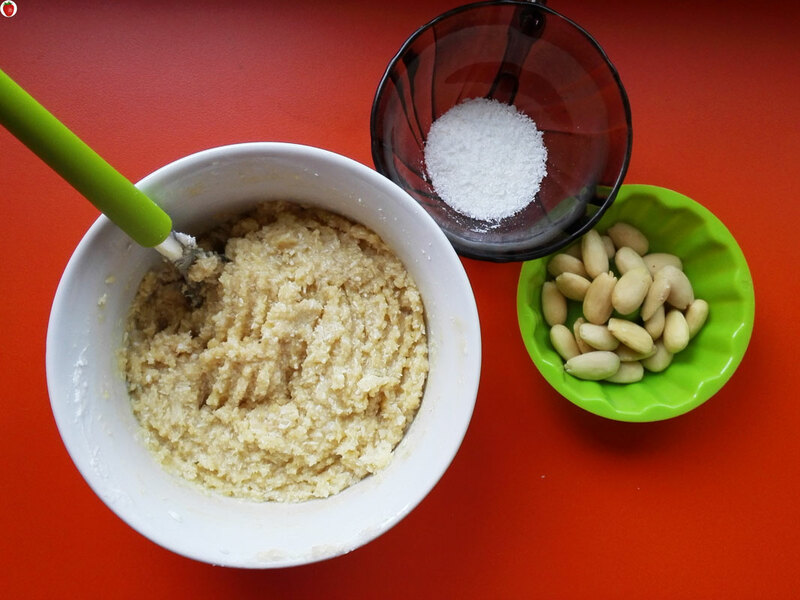 Grind 1/4 cup of almonds if you are not using almond meal. 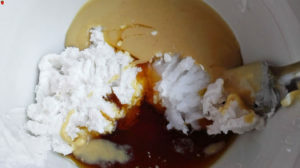 You can either melt the coconut oil and the coconut cream or just whisk them very well – it’s up to you. If you melt them, you’ll have to wait longer for your mixture to harden enough for you to shape balls out of it, so I didn’t melt mine. Add the nut butter, the vanilla extract and the sweetener, and mix everything together. Then, add the almond meal and 1 cup of shredded coconut. Mix until you have homogeneous mixture. If the mixture isn’t thick enough, add some more shredded coconut. 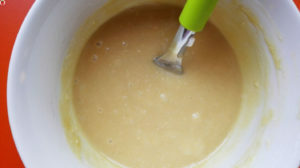 Put the mixture in the refrigerator for about half an hour or until it is hard enough to work with it. 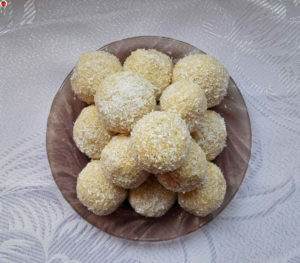 Take about one tablespoon of the mixture, put an almond inside and shape a ball. 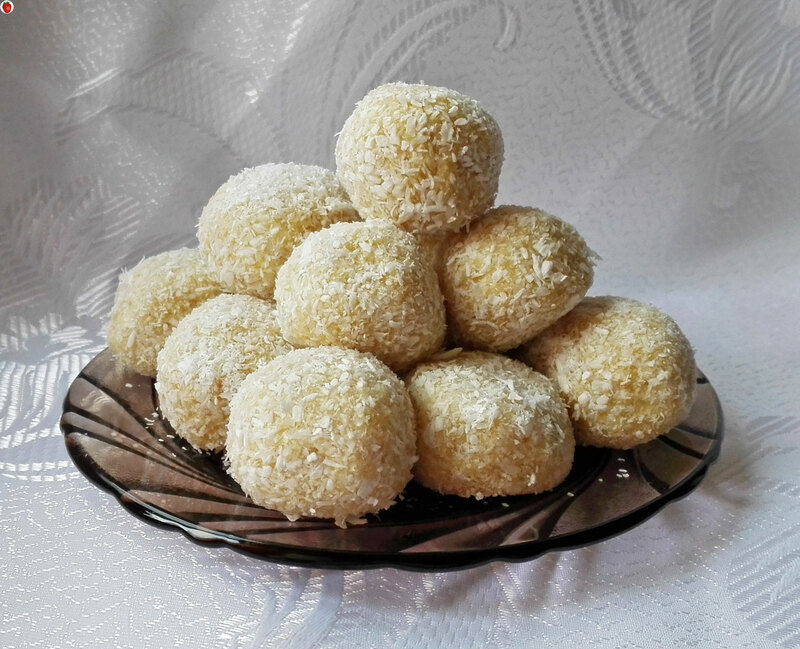 Then, roll the ball in some shredded coconut. 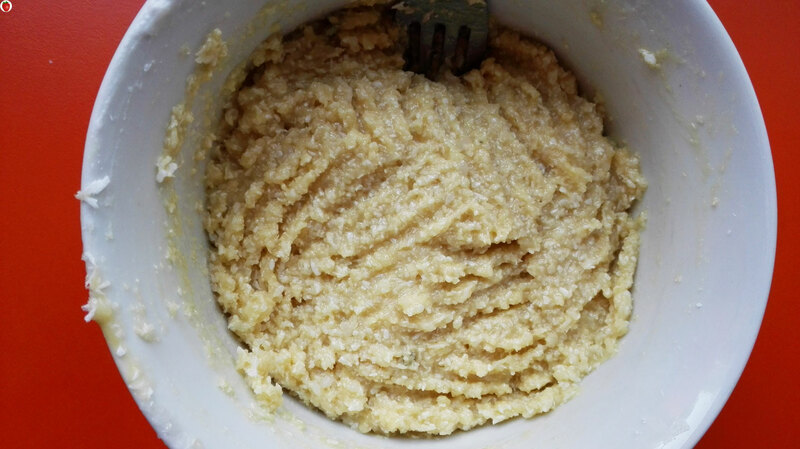 Repeat until you use all the mixture. Keep the balls in the fridge for a few hours or overnight for best results. You can either melt the coconut oil and the coconut cream or just whisk them very well - it’s up to you. If you melt them, you’ll have to wait longer for your mixture to harden enough for you to shape balls out of it, so I didn’t melt mine. 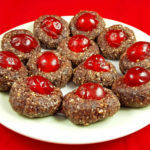 If you like the recipe, share it with your friends and don’t forget to follow me on my social media pages to know when a new recipe is up. ? 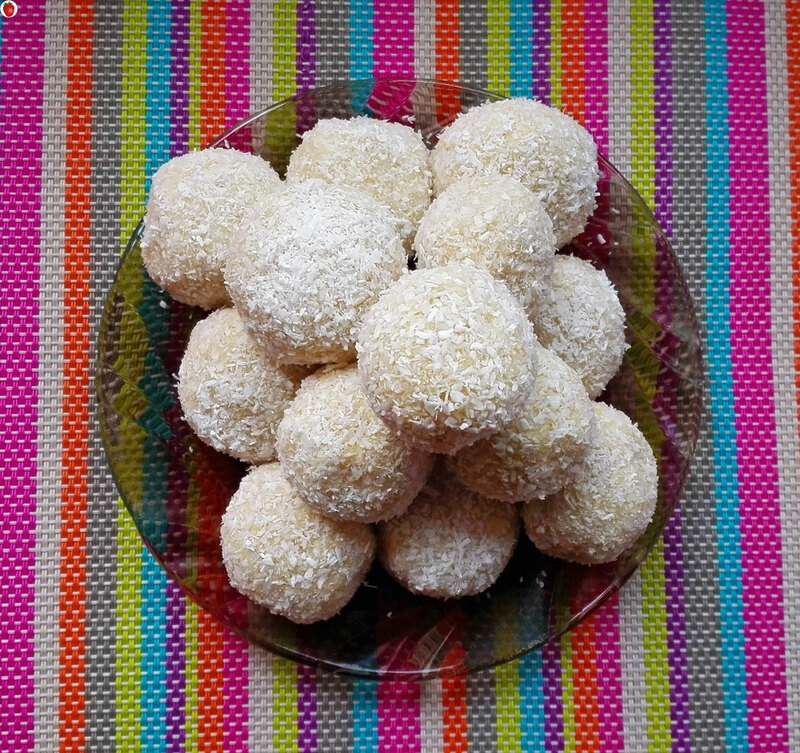 WOW they’re awesome – Just had to make them. Made a double batch and in the fridge at the moment and waiting for our Daughter-in-law tomorrow as we will celebrate her birthday and I decided to make this for her in stead of a birthday cake. I will share the recipe with my images on my blog but I will provide a link to your recipe here, hope it will be acceptable to you. These look perfect for my Mom! She loves coconut and is severely lactose and gluten intolerant!